Now, pretend you're the hotel where this fictional guest is staying. Ideally, you have a buffet service of your own that's good enough to keep this guest on property, and hopefully your Yelp! review will help keep convince her to stay. 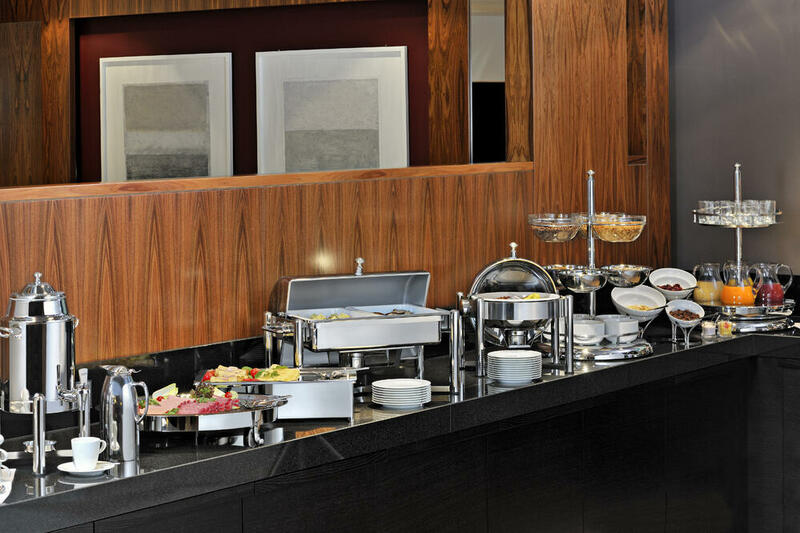 The one amazing aspect of a brunch buffet, of any buffet really, are all the options available. People love to have choices, and a great buffet service will have enough variety to make guests want to try just about everything. For operators, this means higher profits. When guests browse through the serving lines to review what's available before deciding to go with the buffet, the ones who are overwhelmed (in a good way) with the number of choices are the ones who are more likely to justify the expense. 2) Maintain a high quality of serving conditions. At first glance, foods need to be appetizing. If a thin layer of film settles on top of a kettle of soup, it certainly won't be as appealing when compared to a soup that's consistently stirred to preserve its appearance. Keep things neat and clean to entice those browsers who walk the line before deciding. Serving conditions also include temperatures. Not only is it important for foods to be hot and of high quality, temperatures are also critical to food safety. Nobody wants to eat your brunch service on Sunday morning only to be sick by the time Sunday night rolls around. 3) Buffet service does actually include a level of service. Just because guests get up to serve themselves doesn't mean service should go by the wayside. In fact, it's just the opposite. Brunch buffet guests need constant attention. Think about it. If you were overindulging at a breakfast buffet, would you want plates piling up on your table? Of course not. Buffet service should include wait staff that promptly removes dirty dishes, and they should be readily available for drink orders like coffee, juice, milk, or even a refill on those bottomless mimosas. Yes, there are many other factors that go into great reviews, but these three are critical to scoring five stars in your brunch buffet. Buffet service can be tricky. It requires just the right mix of adding details, while at the same time paying attention to those details. If you're looking for some addition tips, we've put together a guide to help you build a better buffet, which you can access below. Discover more details by downloading our free tips for creating a successful buffet service today.